Product #17803 | SKU TS128GSDU3 | 0.0 (no ratings yet) Thanks for your rating! 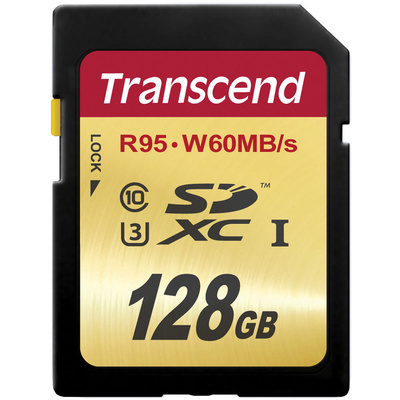 The 128GB UHS-1 SDXC Memory Card from Transcend allows you to capture 4K video as it supports the Ultra High-Speed Class 3 specification with a minimum write speed of 30 MB/s. This 128GB memory card offers a maximum data read speed of 95 MB/s and a maximum data write speed of 60 MB/s for quick efficient data transfers. Along with enhanced data transfer rates, built-in error correcting code (ECC) is included on the card to detect and correct transfer errors.